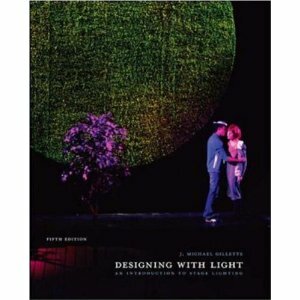 So, before we jump in, let’s examine what a lighting designer (or LD) is trying to accomplish with a given design. After all, it’ll be pretty hard for me to explain what I’m doing if you don’t understand why I’m doing it. Don’t worry, we’ll get through this together; none of those are a complicated as you might think. Let’s take the parts of Mr. Gillette’s definition one by one (and here I’ll use my own words; if you want more of his, buy his book). To influence the audience’s perception and understanding of what they’re seeing – Personally, I like this goal because of what it doesn’t say is the goal: namely flashy, eye-catching effects. What’s going on onstage is the point of this whole medium, and lighting needs to act in service to that, not as an end in itself. Lighting is at its best when it is subtle, influencing and tweaking rather than bludgeoning the audience with big, overt sweeps. To selectively illuminate the stage – Obviously, the lighting needs to illuminate the stage. Not as obviously, it does not need to do so uniformly. By making some areas brighter than others (or leaving some areas completely in shadow), the LD can draw attention to important moments and away from those that are superfluous. To sculpt, mold, and model actors, settings and costumes -How the light hits a person can also draw focus to specific aspects and can even change the audience’s perception of them. Dancers are usually lit mostly by light from the sides of the stage because it helps to define and emphasize their muscles. Lighting someone’s face from beneath reverses the usual patterns of light and shadow and creates a look that can be disquieting. There are numerous different ways to “sculpt” the people and things onstage to alter how they’re perceived. To create an environmental atmosphere that is supportive of the play’s production concept – The production concept is the collection of settings, themes, and ideas that the director and designers use when deciding how a show should look, sound, and feel. Deciding on a specific production concept early on and sticking to it helps to make the various design elements fit smoothly into a unified whole. The job of lighting in supporting the production concept can be as simple as using light that mimics the setting and environment of the play (day, night, indoor, outdoor, etc), and as subtle and complex as using these same elements to help further the overall themes of the play. Don’t worry so much about how the LD is going to accomplish all these goals, we’ll get to that as we come to those parts in the process. For now, just take away that the end result of an LD’s work will be a design that subtly, selectively, and artistically supports the production concept. Next week, we’ll start moving through the process of going from script to finished design with how I read a script and going into the first meeting with the production team. Posted on April 22, 2011, in In the Theatre, Lighting Design Simplified and tagged An Enemy of the People, From Blogger, Lighting Design, Production team, Stage Lighting, Theatre. Bookmark the permalink. 2 Comments.